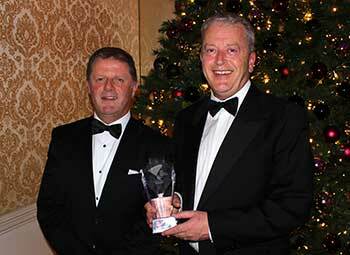 Exaxe, the specialist solutions provider for the life and pensions industry, announced today that it won the award for Pensions Technology Provider of the Year at last night’s Irish Pension Awards 2015 held in the Shelbourne Hotel, in Dublin. The awards, now in their fourth year, give recognition to those in the pensions industry who have proved their excellence, professionalism and dedication to maintaining high standards of Irish pension provision over the past year. The winners were determined by an independent judging panel and were announced last night at a black tie gala dinner and ceremony at the exclusive 5 * Shelbourne Hotel, Dublin hosted by well-known Irish comedian Colin Murphy.